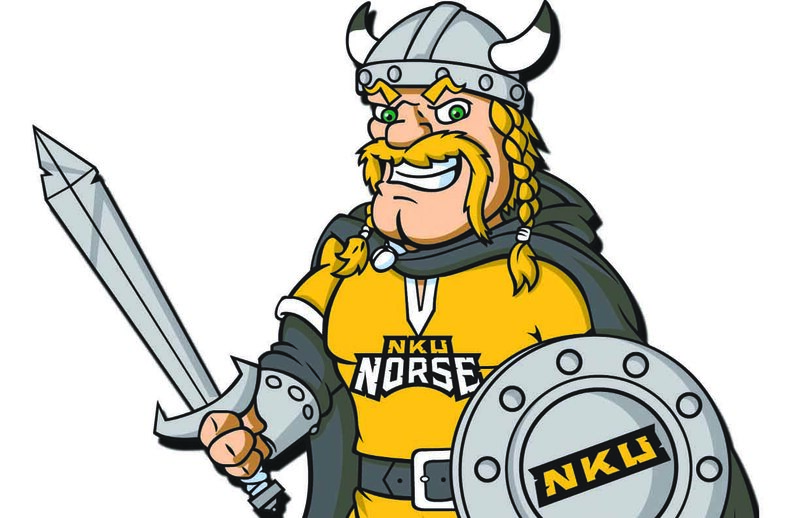 The newest member of the Atlantic Sun Conference claimed victory in the first official competition of the season when Northern Kentucky University’s mascot, Victor E. Viking, won the Most Valuable Mascot challenge on August. 3. Before a single game was played in the A-Sun Conference, NKU supporters assembled on Facebook and Twitter to help Victor live up to his name by becoming the victor of the Most Valuable Mascot challenge against the nine other conference mascots. Although NKU only reclassified to the NCAA Division I Athletics this year, Victor collected the most votes out of all the other conference’s mascots throughout each of the three rounds of the competition. 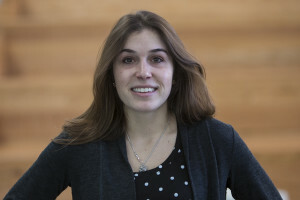 “I think it shows people that it is one thing to get a lot of votes and win the contest, but to be able to do it in the middle of July and August when classes aren’t even in session, to show that that many people are thinking about it and paying attention during the summer is a great sign,” said Chris Cole, director of marketing and communications at NKU. In the beginning of this mascot battle royale, Victor came out on top after receiving 1,448 votes on the A-Sun Facebook poll in the week-long first round that ended on July 26. From there, Victor squared off via Twitter with Ozzie the Osprey from the University of North Florida, Lu the Bison from Lipscomb University and Bucky the Pirate from East Tennessee State University in the week-long semi-final round to compete for the most retweets. Continuing the demonstration of support, Victor led the voting at the end of the semi-final round on Aug. 1, and he advanced to the finals along with UNF’s Ozzie the Osprey. The 24-hour final Facebook face off concluded on Aug. 3 with Victor leading with 2,384 votes compared to Ozzie’s 1,471 votes. “The reason everyone is so excited is that we are finally at that elite level with those other schools now. So really it is a compliment to the rest of the league that being amongst them, having them as our peers is creating this kind of interest and excitement at NKU,” Cole said. While the Most Valuable Mascot competition worked to introduce the new season and NKU to the league, social media’s role in college institutions was also demonstrated. The response on Facebook and Twitter to the competition showed how universities are beginning to take advantage of social media to spark community involvement and interest in a common cause. With organizations like Norse Force, students have the ability to show support for NKU through various Twitter and Facebook accounts. Even Victor E. Viking has a Facebook account with over 1,600 “likes.” By utilizing social media to kick off the season, the A-Sun conference helped NKU and Victor become more recognizable. “I think [the Most Valuable Mascot challenge] gave Victor a great name to throw out there,” said Sara Daugherty, president of Norse Force, NKU’s student spirit organization. When the organization asked students if they knew NKU’s mascot name, many said they did not, according to Daugherty. “Even now, all these schools around the east and down in the south know Victor E. Viking. We are excited to be in Division I, but now it gives us more hope that we are going to succeed and this transition was needed,” she said. As a result of winning the contest, Victor’s presence is expected to increase around campus and grow as a symbol of NKU’s spirit on a national level.